Perfect Opportunity for a Large or Small Builder to own this Amazing Bulk Sale of 9 Parcels which are surrounded by Cortessa Subdivision and Zanjero Trails by Woodside Homes. 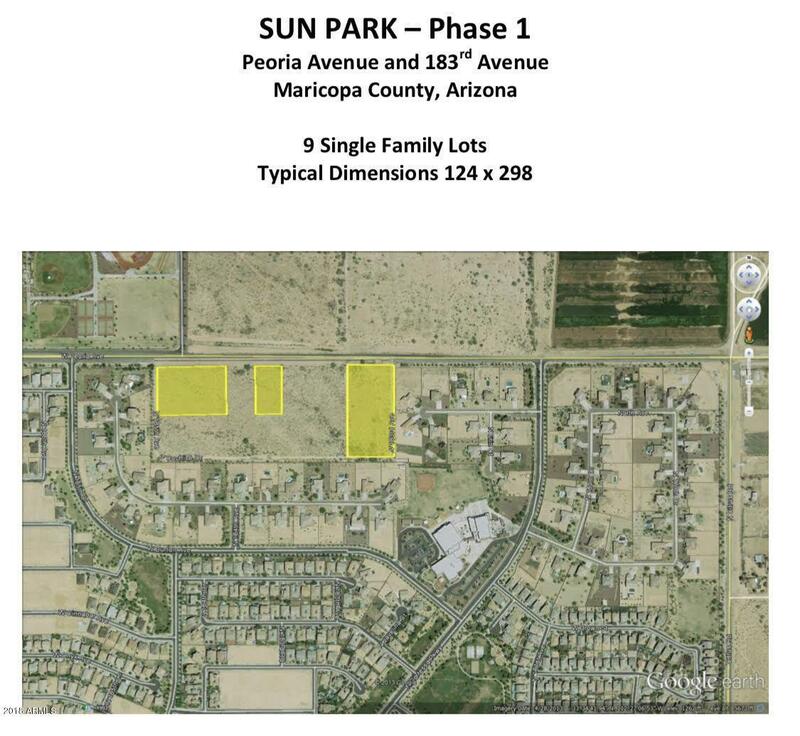 Buyer must purchase all 9 parcels (see list of APN #'s in public remarks). Paved street access, breathtaking Mountain Views, and ready for a builder/contractor to take advantage of the low land inventory in this fast growing west valley location! Escape from the city to a quiet neighborhood in Sun Park. NO HOA. Do not miss this great opportunity! Will not last. Close to the 3O3, wildlife world zoo and Luke Air Force base. Additional Parcels: 502-69-001, 002, 003, 004, 005, 011, 012, 013, 015.